I was hoping to capture the Orionid meteor showers predicted for Oct 21 2017 but was even more fortunate to have my camera aimed and shutter open when this fireball came out of the constellation Taurus. 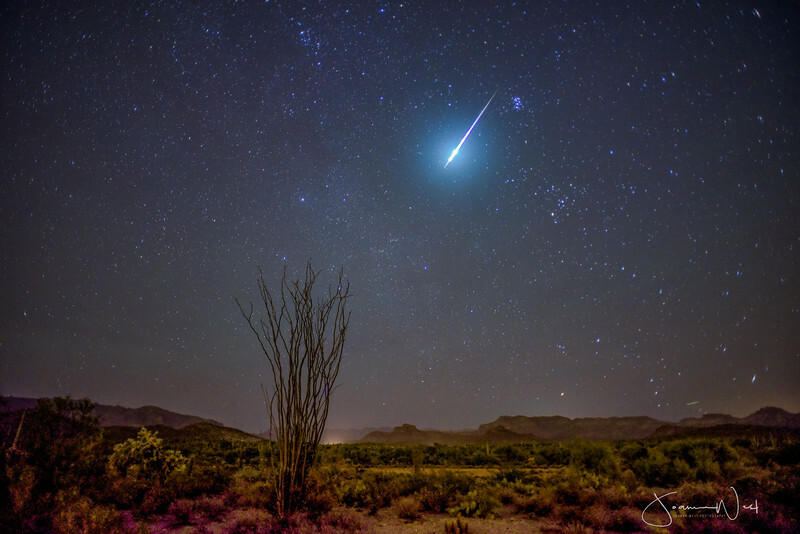 After sharing with space observatories I found out another photographer 100 miles south in Tucson had photographed the same fireball at the exact same time! Wow.